As a patient of the institute you will receive the best in patient care and surgical excellence. Complete information about the surgery will be provided to the patient in order to make an informed consent. The medical staff is committed to their patients long after they are healed and recovered. 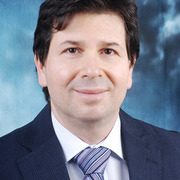 Dr. Imad Shehadi is a plastic and reconstructive surgeon in Beirut, Lebanon. Dr. Imad Shehadi joined the Department of Plastic and Reconstructive Surgery at The Medical College of Wisconsin in Milwaukee, Wisconsin, in Plastic and Reconstructive Surgery in 2003. In July of 2003, Dr. Imad Shehadi returned home to join the Plastic Surgery Institute until this day. His practice consists of all aspect of Plastic and Reconstructive Surgery including aesthetic, reconstructive, craniofacial, microsurgery, and hand. Currently the practice consists of 75% aesthetic and 25% reconstructive, craniofacial, microsurgery, and hand. About 80% of his operative procedures are done in the hospital operating room and about 20% is done in the outpatient center at Plastic Surgery Institute. During his fourteen year career as a consultant plastic surgeon in Lebanon Dr. Shehadi has built an excellent reputation in providing good quality work with excellent results. Envie três fotos hoje e veja uma simulação 3D durante sua próxima consulta com MD Imad Edward Shehadi. Veja seu atual corpo/rosto em 3D antes da consulta e tenha acesso desde casa para ver simulação e compartilhar com amigos depois da consulta e assim tomar uma decisão mais segura. Depois da consulta com MD Imad Edward Shehadi, é possível pedir acesso e também compartilhar com seus amigos e familiares e ter opiniões.